If you have been following along you will remember that my sweet neighbor filed a complaint with the HOA about my bees. Some BS about the bees posing a threat. After 18 months in my backyard they suddenly posed a threat. Under protest and a deadline I moved the hive too far away but the location is very nice. The woman hosting the hive is a sweetheart, wants bees and takes good care of them. A couple of days ago my wife and I drove north to knock off two tasks. One, meet out son who attends Texas A&M University and two, me running over to the ranch and checking on the bees. My wife did some grocery shopping for Joe while I borrowed his truck to head over to the ranch. The hive seems to like it’s new home. It is in a small fenced area to keep the cattle out and has enough sun under the big oak tree. There is a stock tank for water very close by. Looks like bee heaven. I think the site will look better next spring if I can add a few more hives. Two or three here and maybe another two or three across the road on a friends ranch. 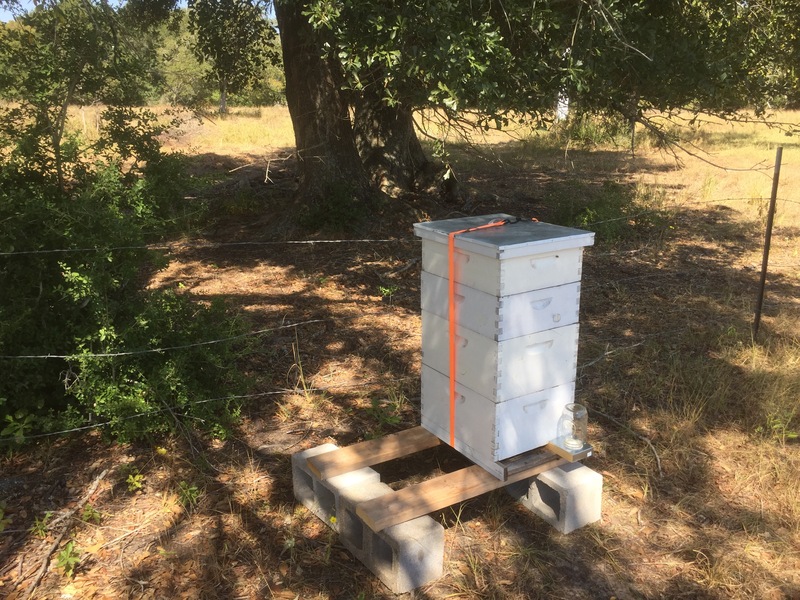 I am hoping 6 hives in the area will help make the trips a little more profitable. 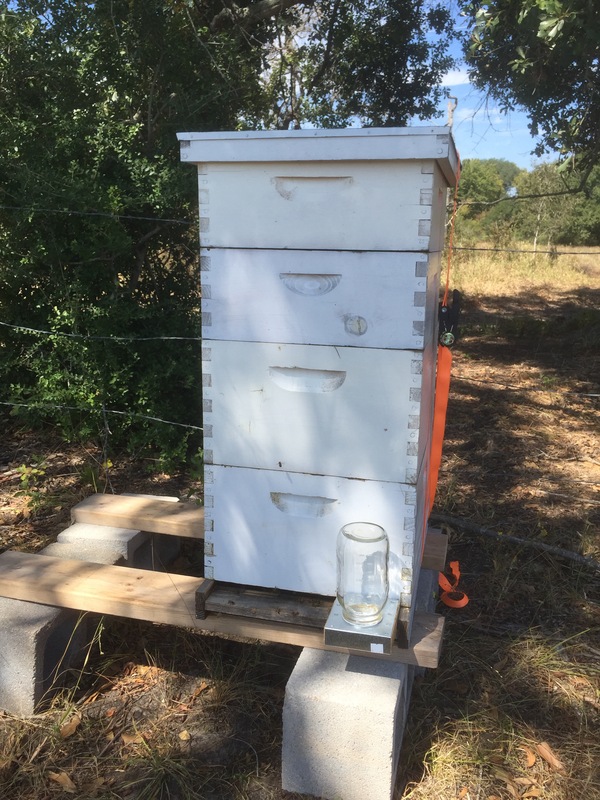 I pulled the top super from the hive in preparation for winter, shuffled some frames and refreshed the hive beetle traps. The observed numbers of beetles was significantly lower on this trip – I like that! Yesterday I extracted honey pulling about 12 pounds or so from the frames. The honey is dark and rich tasting. I will send a couple of jars up to Johnnie at the ranch as payment for hosting and keeping the feeder full. The hive looks well set to make it through the winter. Next trip up I will add a resrictor to keep the mice out and slip a thin board under the hive to cut down on the cold air that can enter through the screened bottom board.